After Golden State signed All-Star DeMarcus Cousins on Monday, the Westgate sports book quickly made the Warriors minus-150 favorites to win their third straight NBA championship while dropping the Lakers to the 9-2 third choice. So much for the Lakers closing the gap on the Warriors at Las Vegas sports books. The day after Los Angeles signed LeBron James and was installed as the 7-2 second choice to win the 2019 NBA title behind Golden State (which was a minus-110 favorite), the Warriors added four-time All-Star DeMarcus Cousins. The Westgate sports book quickly made Golden State a minus-150 favorite to win its third straight NBA championship while dropping the Lakers to the 9-2 third choice. The Boston Celtics are the 4-1 second choice and the Houston Rockets are the 13-2 fourth choice. 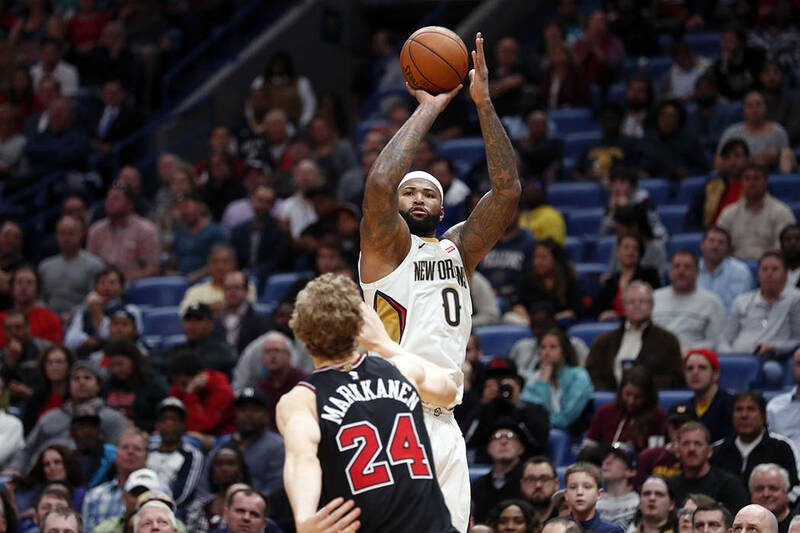 Cousins agreed to a $5.3 million, one-year contract as he continues to recover from a season-ending torn Achilles tendon injury he suffered Jan. 26. When he returns, the Warriors will have the luxury of starting five All-Stars, with Cousins joining Kevin Durant, Steph Curry, Klay Thompson and Draymond Green. In June 2017, Golden State opened as even heavier favorites to win the 2018 title. The Westgate opened the Warriors as minus-200 favorites to repeat as champs. They were the highest preseason favorite ever of the four major team sports.